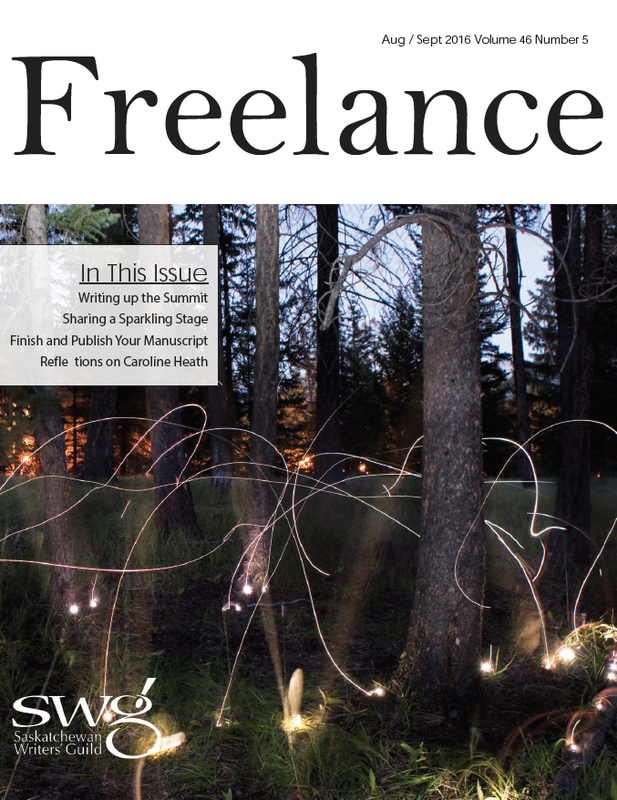 My “Space-Time Continuum” column for the August/September 2016 issue of Freelance, the newsletter of the Saskatchewan Writers Guild. When I was growing up, in pre-Google days, my go-to book for anything I had a question about was the 1958 edition of Collier’s Encyclopedia, which my parents had bought before I was born. One thing I couldn’t learn much about in Collier’s or any other encyclopedia, however, was science fiction. I had to rely on bits and pieces gleaned from the introductions to books and stories, and the occasional magazine article. All that changed in 1979 with the publication of a massive reference work called The Encyclopedia of Science Fiction. Almost 40 years later, it continues to be indispensable for anyone wanting to learn about the field. Best of all, it’s now online—a science fictional form of publishing un-thought of when the first edition came out—and continually updated. As of July 2016, it stood at a whopping 5,185,363 words. That’s a far cry from the first print edition, which contained “only” 730,000. The encyclopedia was the brainchild of Australian writer Peter Nicholls, while he was living in Britain in the mid-1970s. He took on the role of General Editor, and in 1975 asked John Clute if he would like to be Associate Editor, with primary responsibility for the entries on authors. By doing so, he gave the encyclopedia a Canadian connection. John Clute was born in Toronto in 1940, and lived there until 1956. He spent the next few years in the U.S., during which time he obtained a degree at New York University, and since 1968 has lived in London. Although he’s published a couple of novels and a few short stories, he’s best-known for his non-fiction: he’s widely considered one of the most important critics and observers of the science fiction field. Which, of course, made him a natural fit for the encyclopedia, which he wrote along with Nicholls and John Grant. Of course they never reached the end of searching, not for the first edition in 1979, not for the second edition in 1993 (for which Clute wrote another 500,000 words covering 2,300 writers), and not for the current online-only third edition, although Clute notes today he finds fewer forgotten writers, while having to notate the arrival of hundreds of new ones. The encyclopedia covers more than just authors, of course. It also lists and explains themes from A (i.e., “Absurdist SF”, “Afrofuturism”) to Z (“zeppelins,” “zombies”), and also has entries on media (comics, films, movies, TV), and culture (awards, fans, conventions, magazines). Crosslinks and hyperlinks abound in every entry. The fact the encyclopedia ever made it to a third edition is rather lucky. The first edition was prepared under a work-for-hire contract for book packager Roxby Press, which then sold rights to Granada in the U.K. and Doubleday in America. Since it was work-for-hire, the editors retained no rights, which meant there could not be a second edition until those rights were obtained. John Clute (who in the interim continued to maintain an alphabetical list of entries into which he fed any information that came his way) finally managed to buy back the rights, setting the stage for the second edition, 600,000 words longer than the first, published in 1993 by Macdonalds (later Little Brown UK). Clute noted in an interview that one problem they faced even after they obtained the rights was the fact that the original manuscript had been stored on eight-inch floppy disks, which, he wryly commented, “were designed to turn widdershins and were only readable by a handful of Singer typesetting machines, which may have all been junked by 1990.” It would have been ironic had the second edition of the definitive science fiction encyclopedia been done in by advances in technology, but in the end it was saved—not because they ever found any way to read those floppies (they didn’t) but because they instead convinced the publisher to hire typists to re-key the entire first edition. The second edition was reprinted in 1995 and augmented in 1999, in both cases with an appendix listing corrections and addenda. A CD-ROM version, adding more than 65,000 words, appeared in 1995. The third edition was first released in 2012 by a new company, ESF, Ltd., in association with Victor Gollancz, the science fiction and fantasy imprint of the Orion Publishing Group, and made free to all users. It continues to be free. 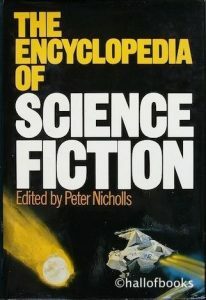 Whether you want to know more about a particular book or author or whether you’re just interested in a little serendipitous browsing, you can find The Encyclopedia of Science Fiction at www.sf-encylopedia.com. And yes, within its thousands of entries, you’ll even find one for me.